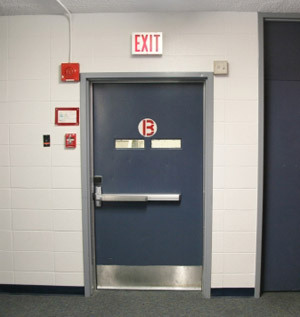 In an emergency situation where the primary power in your building is disrupted, it is imperative that your critical secondary lighting throughout your building works and helps guide you and your staff to an exit so you can fast and safely get out of the building if the need arises. Without these critical backup lights employees and customers could momentarily panic or get confused which could result in personal injury, property damage or worse. 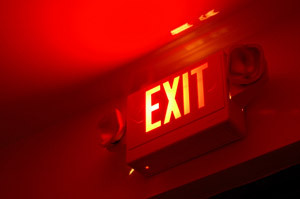 Keeping Emergency Lights tested and working is a requirement of OSHA and NFPA 101. Global Fire & Safety will go way beyond the “button testing” of the Emergency Lights. This button testing is truly meant to be a way to check that the bulbs are not burned out. However this does not ensure that the secondary batteries will hold for the required load time when primary power is lost. Global Fire & Safety will verify the batteries condition both visually and by apply a true load test from a specialized testing device to ensure your Emergency Lights will work in that critical emergency. Safety first is everyone’s mission and here at Global Fire & Safety, it is not only a statement it is our promise to each and every customer we service.